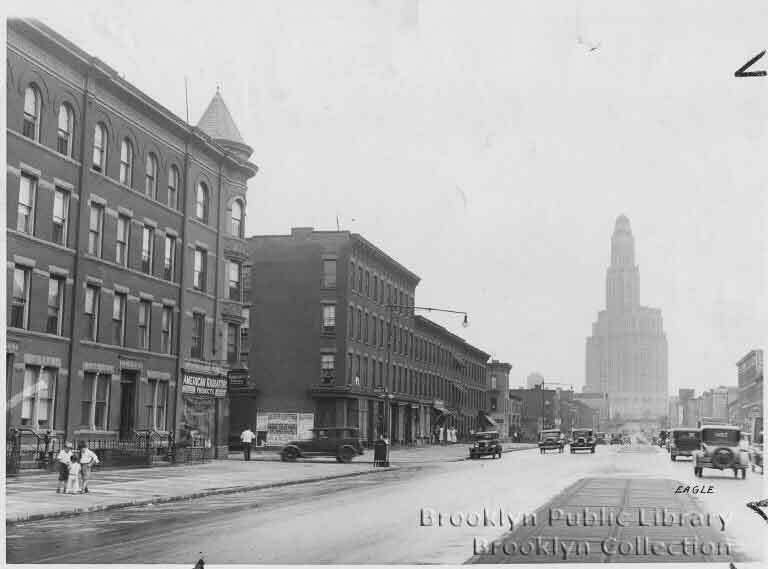 Above, a picture of Fourth Avenue in 1933 looking towards the Williamsburg Savings Bank tower. The building on the corner of Butler Street is still there, housing a bodega in its ground floor. Below, a picture taken from a similar vantage point today. 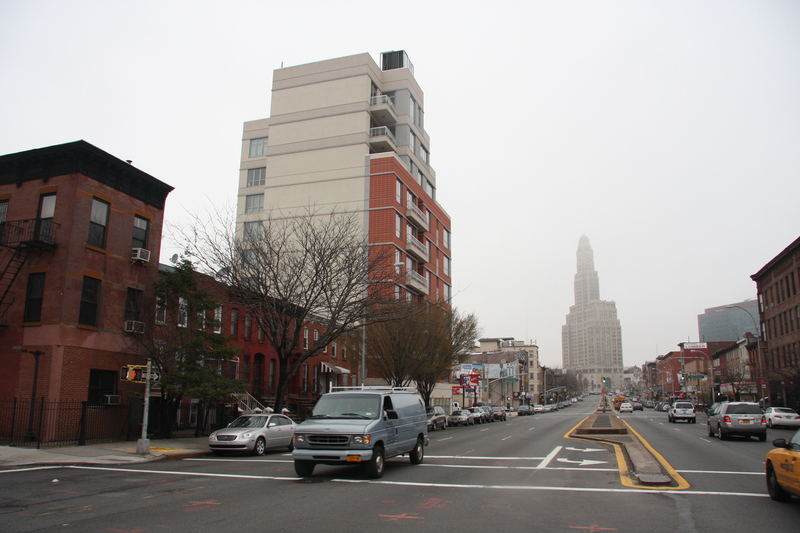 ← New Bike Lane Coming to Prospect Park West! damn! that’s cool. and look at how wide those sidewalks were back then! Maybe you can get Seniors for Safety to sign on to a plan to restore the sidewalks.